Welcome to Organization Matters. Organization Matters looks into the issues of any organization whether profit or non-profit. it touches on its structures, behaviour and its processes. 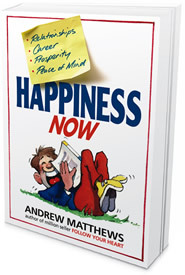 Andrew Matthews is a publishing phenomenon with books published in 35 different languages and sales of over 5 million copies in 60 countries. Now Andrew's books are available online as downloadable Ebooks!